It's back for Cyber Monday! The PlayStation 4 Slim 1TB Spider-Man bundle is back in stock at GameStop. You'll need to act fast because this thing is sold out everywhere else and will sell out here. One of the most popular bundle yet, this was out of stock all the way through out Thursday at multiple retailers. We can't imagine the stock available for Cyber Monday will last long as well. PlayStation 4 Slim 1TB Spider-Man Bundle Black Friday deal is going in and out of stock. Believe it or not, we think you should jump fast whenever you see this become available because supplies may be harder to come by as we get closer to Black Friday, especially as Walmart's server is being hammered already on Wednesday night. Free 2 day shipping. Walmart has a great deal on the PS4 Slim 1TB console during Cyber Monday, for $199 you'll get the system with Red Dead Redemption 2 and an extra controller as an additional bonus. Unfortunately not available for shipping and the deal is store pick-up only. Editor's Note: Walmart's server is being hammered so you may not be able to see details on this or add to cart. Unfortunately you might have to play the refresh game. The average price for this deal since released is $339.40. Lowest historic price was $239.99 on Apr 25, 2018 at eBay. A PS4 with just one controller will normally cost you $350 but today on eBay Deals snag a PS4 with two controller for $299.99. Free shipping in the continental US. Selling at a good clip with a total of 1,000 total stock. Rare discount on a PlayStation 4 Console today from eBay Powerseller RushHourWholsaler to $280, free ship. This matches the $280 drop they had two weeks ago (which sold out not long after posting). Sales tax charged only for California customers. 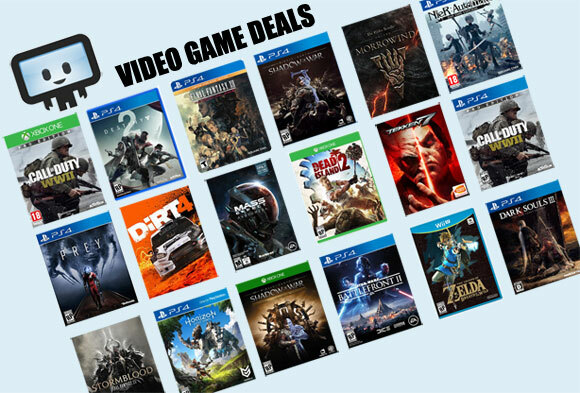 Missed out on last week's PS4 deal? Another discount has been spotted at Groupon. Fifty bucks off the usual $350 for your standard jet-black PS4. Discount only valid through Friday, August 5th. The PS4 console deal for only $280 is still available and chugging on. Now about 1,300 units sold as of writing. Shipping is free and sales tax is waived. PlayStation 4 console only $280 with free ship today on RushHourWholesaler's eBay Store. Brand new unit in the original box. One of the hottest PS4 console deals of the Summer.